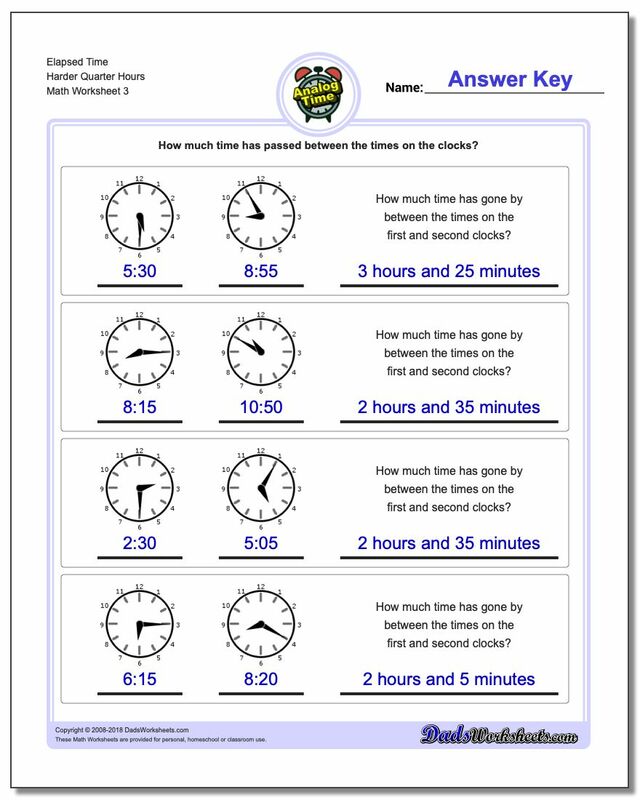 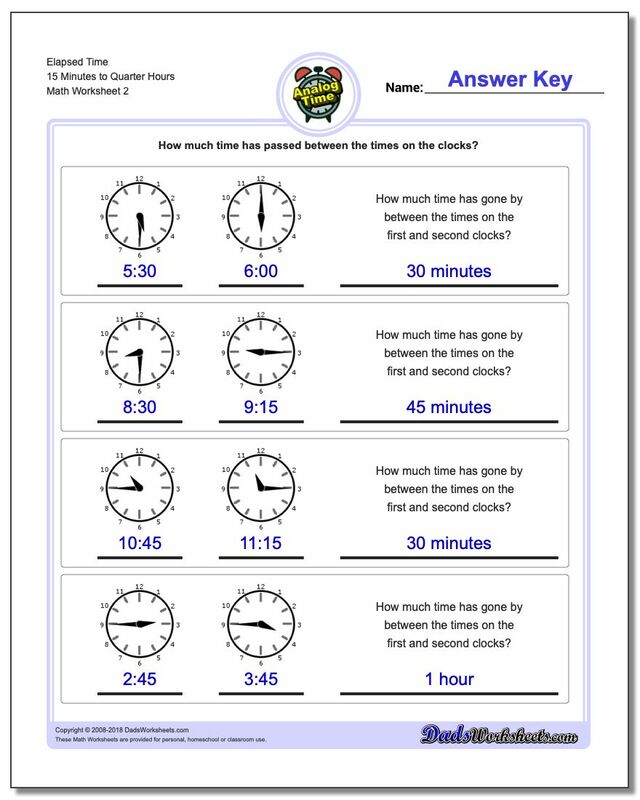 These slightly more advanced elapsed time worksheets all start with times that are on quarter hour intervals on the clock. 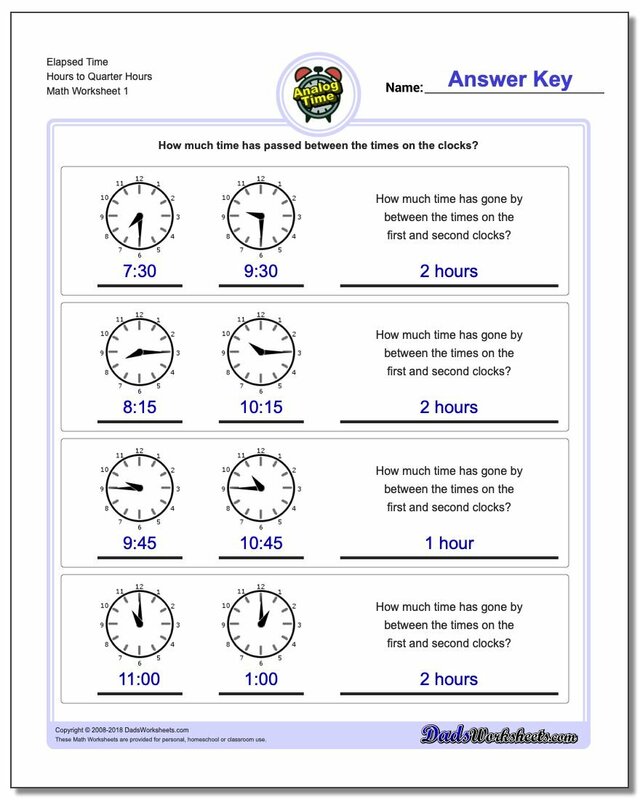 They are a good mix of worksheets if you have been working on units of time that are in between hours and minutes to develop a better since of time spans. 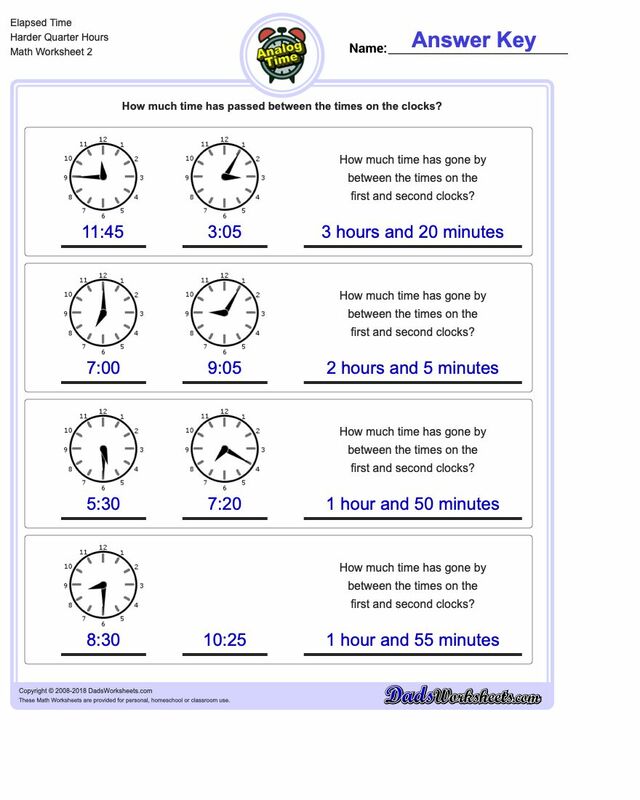 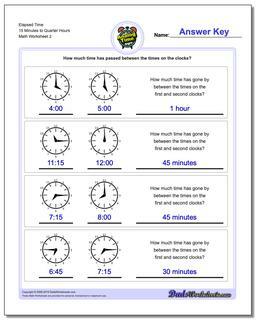 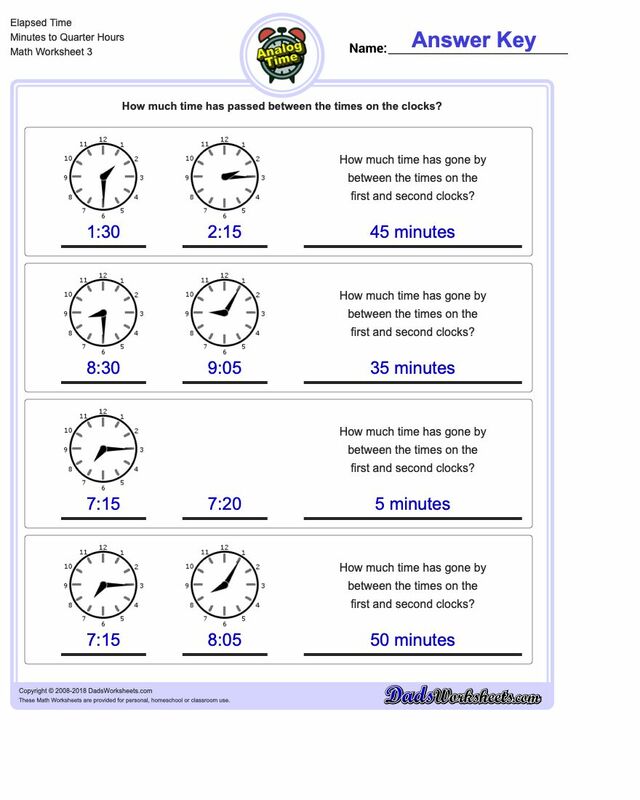 These elapsed time worksheets start out with final times that the same as the starting hour, then move on to calculating times that cross the hour boundary. The addition work in those problems requires calculating the minutes required to fill the current hour and then the remaining minutes that 'carry over' into the following hour to get the final time.